At the age of 68, my mother had a debilitating stroke. She lived for eight more years and they were very difficult years. They were difficult for her, for my family and for me. It is my desire that this article will give you some advice in dealing with your parents if you are in a comparable situation. First, we should have pity by putting ourself in their shoes. Proverbs 14:29 says, ” He that is slow to wrath is of great understanding: but he that is hasty of spirit exalteth folly.” Most of our anger is due to a lack of understanding. We may believe that our parents earn our anger, but, most of our anger is immature, uncalled for, and unbecoming of a Christian. In Luke 7:35 the Lord shows us how to put some depth into our perspective. The place is the house of Simon, a Pharisee. During the meal, a certain woman arrived. Simon, the host, saw a nuisance. To him this woman was an embarrassing distraction. Jesus did not see it that way. Jesus saw a depressed, hurting person who was looking for a change and direction from God. The fact that Simon saw none of these shows us that we often fail to see these things in so many of the people we meet. The question is, what do we see in our parents? We need to see beyond the decline of their physical and mental abilities to see the parents who loved us. We should recognize how difficult and frightening it must be to live with the changes that are taking place in their lives. We should work to be more understanding and compassionate. Secondly, we should ignore insults rather than arguing with them. That is not an easy thing to do. Proverbs 19:11 says ” The discretion of a man deferreth his anger; and it is his glory to pass over a transgression.” Proverbs 17:9 says, ” He that covereth a transgression seeketh love; but he that repeateth a matter separateth very friends.” Even more to the point, Eccl.7:21-22 says, “Also take no heed unto all words that are spoken; lest thou hear thy servant curse thee: For oftentimes also thine own heart knoweth that thou thyself likewise hast cursed others.” Here we are told to ignore an insult. This is good advice when dealing with the confused insults of a parent who cannot help what age or sickness is doing to him or her. When we take it on ourselves to correct every little misstatement it will only add to the problem of a confused mind. 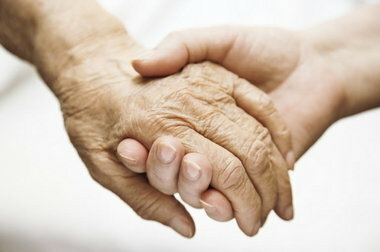 Patient loving kindness is the best defense for dealing with a confused mind of an elderly, sick parent. Third, when it’s time to convince our elderly or sick parents to make a major decision, try not to do it alone. 1 Kings 1 illustrates this well. David had become an old, ineffective king who was still trying to hold on to the power of the throne. Ambitious and evil men were cutting up his kingdom. It is easy to pilot a ship to ruin than to admit that we need help, and this is especially so with the elderly. David’s kingdom was falling apart, and Nathan wanted to do something about it, but he didn’t do it alone. He made a team effort with Bathsheba and was successful. This is good example for us to follow. Finally, we should remember that when we were a child, there were times when we no doubt put our parents through “the works.” We should try to be understanding of their fears, not let unfair remarks become a big deal, and be there to help them as the best person we can be. It won’t always be easy. But, we should remember the most important part: God will remember our labor of love, and that makes everything worth it. God’s Word Or Paul’s Opinion? God’s Word? Or Paul’s Opinion? ​In 1 Corinthians 7:10, Paul writes: “Now to the married I command, yet not I but the Lord: A wife is not to depart from her husband.” But only two verses later in verse 12 he writes: “But to the rest I, not the Lord, say: If any brother has a wife who does not believe, and she is willing to live with him, let him not divorce her.”What is going on here? Does Paul issue the Lord’s command in the first instance, but only offer a personal opinion in the second? Do we have to obey the first instruction but not the second since Paul says that the second comes from him rather than from the Lord? ​In defense of 1 Corinthians 7:12 being God’s word and not just Paul’s opinion, Paul’s numerous claims of writing and preaching by inspiration of God makes it unreasonable to conclude that he was denying inspiration when addressing marriage between Christians and non-Christians. Paul would book end his letter to the Corinthians with the acknowledgment that “the things which I write to you are the commandments of the Lord” (14:37; 2:4-5). Paul also claimed inspiration in his other epistles (Galatians 1:12; 1 Thessalonians 4:8,15). Even Peter alluded to Paul’s writings as being a part of Scripture, and thus inspired (2 Peter 3:15-16). ​When Paul wrote that he, rather than the Lord, was addressing a particular marriage relationship, he did not mean that he was speaking without authority from God. In the early second century, Polycarp of Smyrna, lists three sources of teaching for early Christians: “So, then, let us serve him with fear and all reverence, just as he himself [Jesus] has commanded, as did the apostles, who preached the gospel to us, and the prophets, who announced in advance the coming of our Lord”. Polycarp alludes to three sources of teaching that we learn from in the Bible: Jesus’s direct teachings (Matthew 17:5), the inspired teachings of the apostles (Acts 2:42), and the Old Testament (Romans 15:4). With this understand we see Paul was not stating a personal opinion, instead he was distinguishing the source of the teaching. Christ did teach about Marriage and Divorce (Matthew 19), but Paul being guided by the “Spirit of truth. . . Into all truth” (John 16:13), now makes application of marital truths that the Lord did not specifically expound upon while on Earth. Therefore giving an instruction that we as Christians must obey, as it is God’s word and not Paul’s opinion. The Bible is the exhaled breath of God. 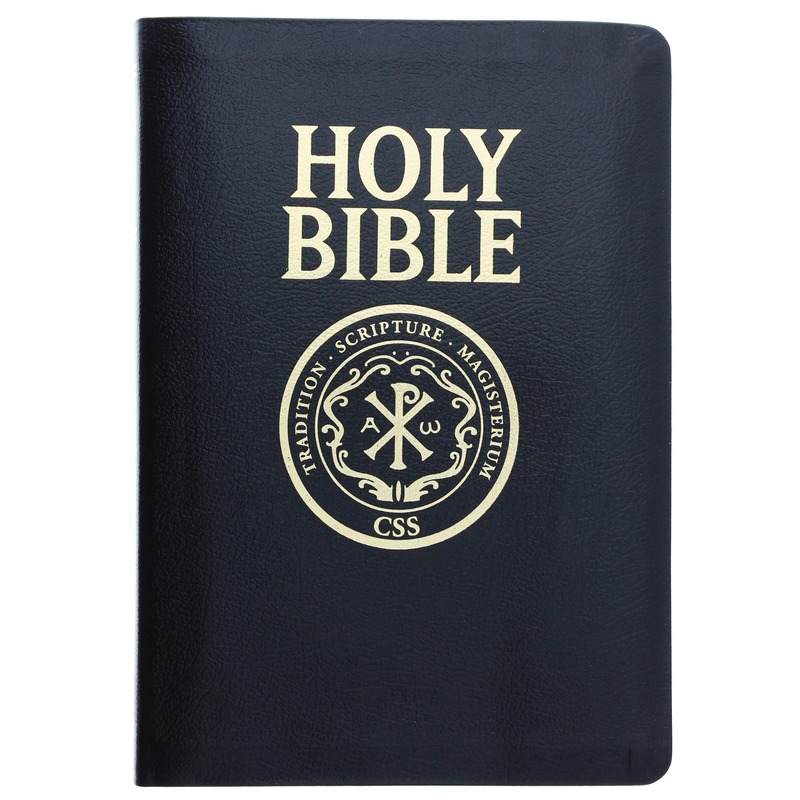 By “the Bible,” I do not mean to include the apocryphal books included in the Catholic Bible. Apocryphal means “of doubted authorship.” Neither do I have in mind the Eastern Orthodox Bible which includes more Old Testament apocryphal books written under pseudonyms during the 400 years between the Old and New Testaments. I refer to the 39 books of the Old Testament Hebrew Bible and the 27 books of the New Testament Christian Bible. Is the world indebted to the Catholic Church for producing the Bible as it exists today? The Catholic and Orthodox faiths are both very vocal in giving all credit to their church as the divine entity responsible for producing and preserving the Bible canon. When Catholicism or Orthodoxy makes this claim, it is presumptuous, without foundation, and paradoxical. First, the claim is presumptuous, because it assumes the collection of Bible books as we have it today was non-existent prior to the official Catholic decree at the Council of Hippo in 393 A.D. Biblical and historical evidence does not agree with this presumption. 2 Peter 3:15-16 acknowledges Paul’s epistles in the plural form, and also references them alongside, “the rest of the Scriptures.” Clearly there was already a practice of collecting the inspired writings in the first century while the Bible was still being written. Tertullian (2nd century Christian writer) was the first person recorded to call the collection of apostolic writings the “New Testament” in 190 A.D. (Comfort, Philip. (2002). The Origins of the Bible, p. 66). Second, the claim is without foundation, because many of the early and respected Christian historian writings affirm the 27 books of the Christian Bible and refute the other apocryphal books in circulation long before any Catholic council. Follow this link http://www.ntcanon.org/table.shtml for a helpful chart which evidences this statement. The evidence speaks out loudly to the fact that all 27 books of the Christian Bible receive widespread recognition by reputable 1st and 2nd century, Christian historians, while none of the apocryphal writings share the same reputation. Third, the claim is paradoxical. I say this, because it was the same Catholic church that burned the Bible as translated by William Tyndale and Martin Luther in the 1500’s. The Catholic church readily takes credit for producing the biblical canon, but it is not so eager to take credit for destroying God’s word some centuries later. The Council of Hippo was nothing other than a group of uninspired men without any authority from God but with great political and religious power. This power and influence is better credited to the Roman emperor Constantine than to God. If someone still wants to say that God used the Catholic church for the preservation of scripture, do remember that God also used the evil Balaam to bless Israel, wicked Pharaoh to drive Israel out of Egypt, and pompous, idolatrous Nebuchadnezzar to judge Judah. Even if one were to prove that God did use a certain institution to produce the biblical canon, it would not prove the divine origin of that institution anymore than Balaam, Pharaoh, or Nebuchadnezzar. Jude 11, “Woe unto them! for they have gone in the way of Cain and ran greedily after the error of Balaam for reward and perished in the gainsaying of Core”. 2 Peter 2:15, “Which have forsaken the right way, and are gone astray, following the way of Balaam the son of Bosor, who loved the wages of unrighteousness”; Revelation 2:14, “But I have a few things against thee, because thou hast there them that hold the doctrine of Balaam, who taught Balac to cast a stumbling block before the children of Israel, to eat things sacrificed unto idols, and to commit fornication”. The Holy Spirit chose Balaam to use as an example of what a man of God should not be. The narrative about this prophet after the patriarchal order is found in Numbers 22-25 and 31:8, 16. He was a Midianite. He belongs among those who had a knowledge of God but were not descendants of Jacob. Abimelech of Gerar, Melchisedec, Job, and Jethro are some of the examples that show God dealt with others that did not have Jacob as one of their ancestors. Balaam belongs in this group though his knowledge and respect for Jehovah seems faint when compared to some of the others. The Holy Spirit seems to have wanted churches in New Testament times and churches in this 21st century to learn important lessons from the brief glimpses we have of this Midianite prophet. Error means a wandering off or a forsaking of the right path. The Greeks used this word to describe a planet in the heavens that did not seem to have a set orbit. This word seems to indicate that Balaam was once on the right path and wandered away from it. In 2 Peter 2:10, the Holy Spirit uses these words that accurately describes Balaam and his actions: Presumptuous are they, selfwilled. In a shameless and irreverent way Balaam presumed God would let him have his own way even though he knew it was against the will of God. how well did he know the will of God? God had said unto him, “Thou shalt not go with them; thou shalt not curse the people: for they are blessed”. Numbers 22:12. How could he have misunderstood that commandment? Balak, King of the Moabites, had sent messengers to Balaam two times to offer him a reward for cursing the children of Israel. They knew that whoever Balaam cursed they were cursed and whoever he blessed they were blessed. Balaam had invited them to stay with him overnight, so he could talk to God about the matter. In verse 18-19 Balaam told them, “If Balak would give me his house full of silver and gold, I cannot go beyond the word of the LORD my God, to do less or more. Now therefore, I pray you, tarry ye also here this night, that I may know what the LORD will say unto me more”. Verse 18 tells us he understood God’s instructions to him about the matter. Verse 19 shows how self willed he was and how he assumed God would change his mind and let him go curse Israel. God telling him one time was not enough for Balaam. he wanted to see what more God would say to him. he is like some today who wander away from the path of righteousness and do not even recognize they are walking in a path away from God’s way. The context for this point is found in Revelations 2:12-16. Balaam entertained the Moabite ambassadors because He wanted to see if God would change his mind and say “more” than He had before. The truth is Balaam desired to do more than God had said. Balaamites from the 1st century to this 21st century have brought in innovation after innovation because they were not content with what God has said in His word. Like Balaam they wanted more and sometimes less than what the Holy Spirit revealed. Baptism is a case in point, Acts 2:38 teaches the necessity of baptism for the remission of sins clearly: “Then Peter said unto them, Repent, and be baptized every one of you in the name of Jesus Christ for the remission of sins, and ye shall receive the gift of the Holy Ghost”. Those who teach salvation by faith only do not like this verse because they believe in the doctrine of salvation by faith only. Balaam understood he could not go beyond the word of Jehovah to do more or less. A few of our own brethren including preachers are following the denominational Balaamites in bringing in new practices and beliefs into their ministries. Dissatisfied with God’s plan of salvation and God’s plan for worship services these few are trying to bring in one new thing after another. When they are questioned about it they try to justify them in the name of tradition or maybe stop their practice but not their belief. Like Balaam they sometimes confess beating their donkey but do not confess their dissatisfaction with God’s will because they feel their own will is more important. That is the doctrine and way of Balaam. Not all of it but enough to taint them so far as God is concerned and the brotherhood. Some also advocate leaving them alone and try to compare them with Ephesus, Pergamos, Thyatira, Sardis, and Laodicea. The Lord is the one that removes the candlestick, not us, they say. They fail to teach us how we are to know when He removes the candlestick. It seems to me that the word of God is still the measuring stick we are to use in determining this. There is one thing this measuring stick reveals. The Lord was not going to let their light burn very long. This is confirmed by the Lord’s warning to them in Revelation 2:16, “Repent; or else I will come unto thee quickly and will fight against them with the sword of my mouth”. In His salutation to them he introduced Himself to them in verse 12 in this way: “These things saith He which hath the sharp sword with two edges”. The sword is likened to the word of God in Hebrews 4:12. In other words, Christ was going to discipline them with His word. This was to be done, not by Christ personally but through his faithful preachers and church members. 1 Timothy 3:15 tells us that the church is the pillar and ground of the truth. It is a strange thing that these advocates do not compare the churches that are going astray to the churches in Smyrna and Philadelphia to whom the Lord gave unqualified approval. These two churches seem to be the correct paradigm, not the ones in error. But, alas, it seems some brethren overlook the fact that the Lord wrote to the ones in error to correct them not approve them and leave them in their error. How long was the Lord going to put up with their errors? Forever? I think not. The bible student should think the same thing unless he is following the doctrine of Balaam. The way of righteousness is the same as it was in the first century. God approves the same thing today as He did back then. Furthermore,He condemns the same things today as He did during the early history of the church. Balaam knew that the only way he could get God to curse Israel was to get them to sin. He did this by getting Balak to cause Israel to commit fornication with His people and to eat things sacrificed to idols. Those who walk in the way of Balaam today encourage God’s people to commit spiritual fornication by teaching them to practice religious things God has not authorized. Every denominational false doctrine and every innovation that has crept into the Lord’s church came in as a result of someone walking in the way of Balaam. Unlike Balaam, those who are loyal and faithful to God only require God to speak one time and they will hear. One command and they will obey. They will not go back and see whether God has changed His mind. They love the truth even when it does not harmonize with their own will. Finally, and tragically, Balaam walked in the Lord’s way for a while, but he did not stay the course. Alexander Campbell helped in the restoration of so many New Testament practices, but in his later years he digressed from things he had helped to restore. In my own life time I have seen preachers, young and old, fight the good fight of faith and then later on they turned their back on the thus saith the Lord principle. Even today preachers and brethren are turning away from the things they once mightily stood for. This practice is the way of Balaam. Balaam cried out one time, “Let me die the death of the righteous, and let my last end be like his”! Look at the death he died in Numbers 31: 8,16. Brethren, let us all take heed to the warning about walking in the way of Balaam lest our end be like his.